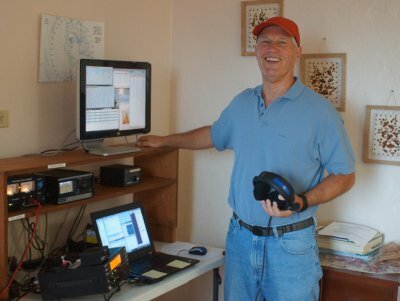 My first visit to VP9GE was a great success – wonderful host, fascinating island, happy XYL, fun contesting RTTY Roundup Jan 2015. Ed went way beyond expectations sharing his insider knowledge of Bermuda. A fascinating man, Ed greatly enriched our experience of his island. On the radio side, Ed promptly answered all my pre-arrival equipment and licensing questions. Equipment was as described and in good operating condition. When I asked if a monitor was available to extend my laptop desktop, Ed made one available. Internet speed was faster than what I have at home. Operating from VP9 was magical. Everyone wanted VP9 for a mult. 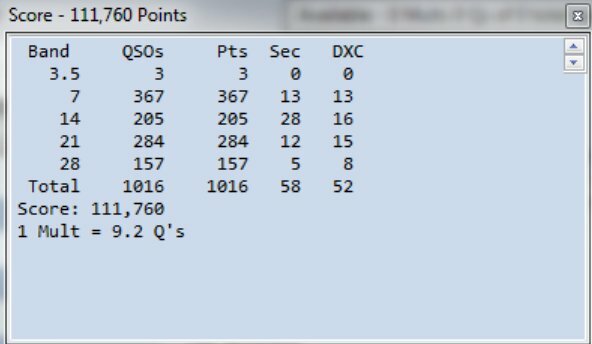 I was able to maintain good runs on RTTY about 2/3 of the time. Quite good it seemed for operating 100 watts in a big gun environment.